This is the first of my posts in the run up to Remembrance Sunday. The work of the Commonwealth War Graves Commission (CWGC) is familiar to many. 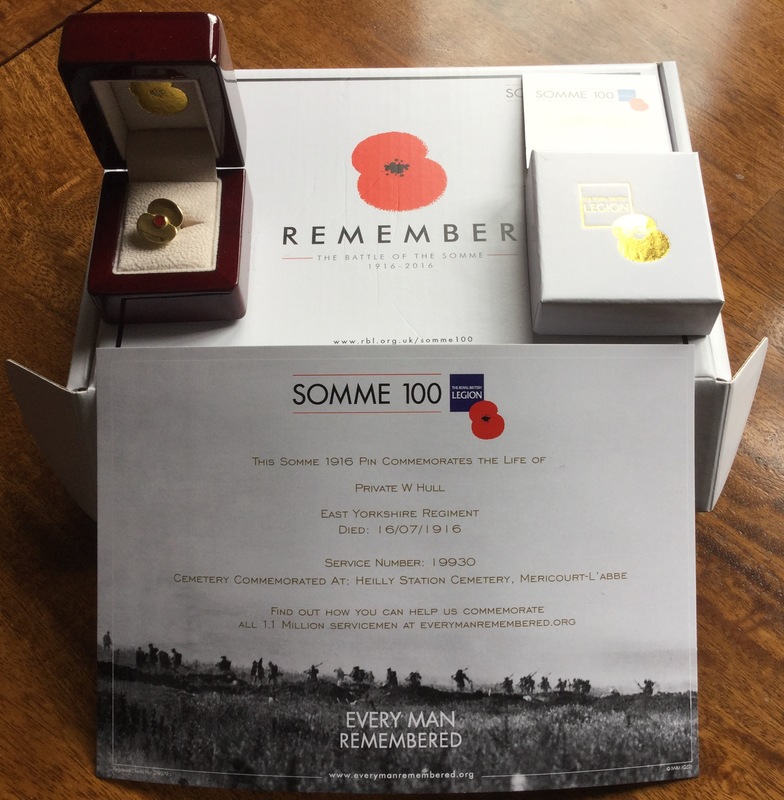 They care for cemeteries and memorials in 23,000 locations across 154 countries, ensuring the 1.7 million people from Commonwealth forces who lost their lives as a result of the two world wars are never forgotten. Batley cemetery contains CWGC 66 burials. Predominantly these plots have standard CWGC headstones, but there are also some Private Memorials where families chose to erect their own headstone on a war grave. All are listed on the CWGC website. Unsurprisingly some families who had loved ones commemorated elsewhere by the CWGC, chose also to include their names on family headstones in home cemeteries. This is not exclusively confined to those military personnel with no known graves. These are not classed as war graves. The service person is not buried there. So they are entirely distinct from CWGC recognised Private Memorials. These inscriptions would provide a focal point close to home for families of service personnel with no known grave, or buried far from home. They are a visible sign of love, acknowledgement and family remembrance. These headstones can prove invaluable for researchers in terms of family and service details. But, as they are not war graves, they are not recorded by the CWGC. So it is a case of seeking them out. Here are four I spotted in Batley cemetery. 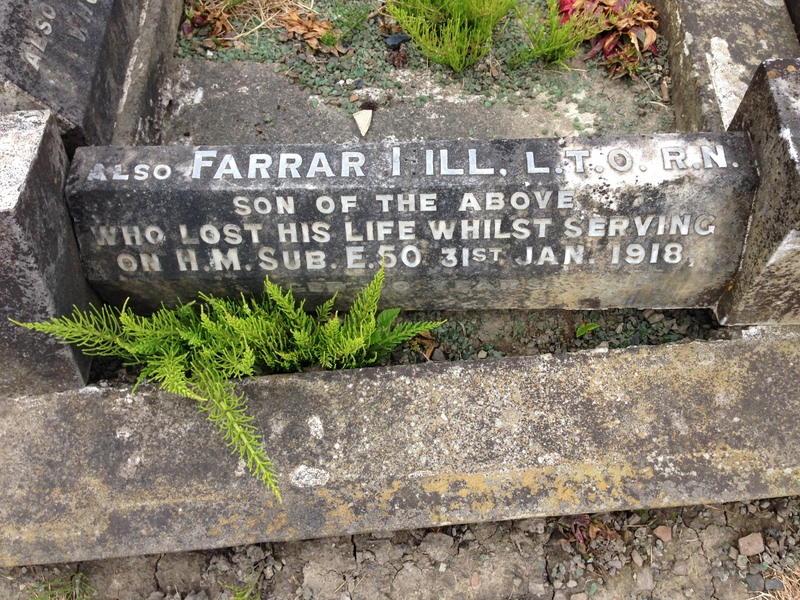 Able Seaman Farrar Hill, killed on 31 January 1918 when his submarine, HMS E/50, was lost in the North Sea. It is believed to have struck a mine near the South Dogger Light Vessel. He is commemorated on the Plymouth Naval Memorial. But he is remembered on the Hill family headstone. Pte Robert Hirst, 6th Bn King’s Own Yorkshire Light Infantry. He was killed in action on 24 September 1915 and has no known grave. His name appears on The Ypres (Menin Gate) Memorial. 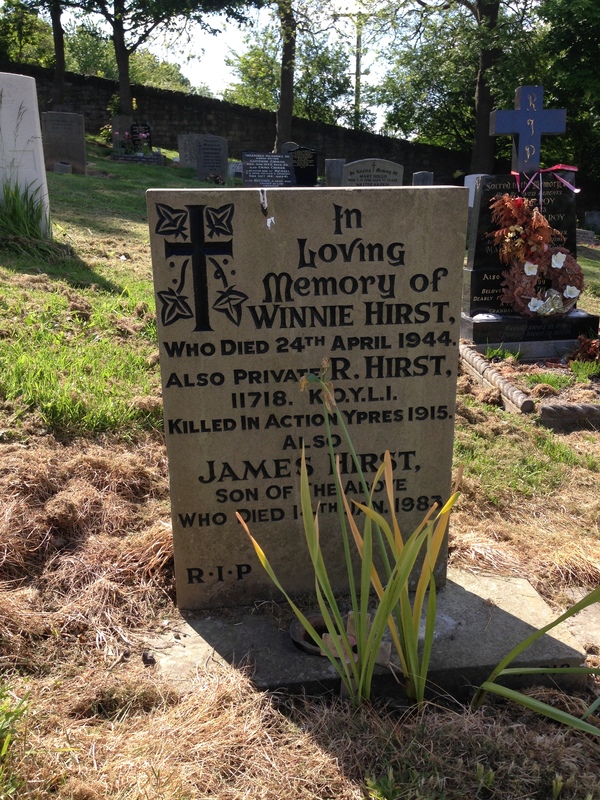 His family have included his name on a relatively new headstone in Batley cemetery. 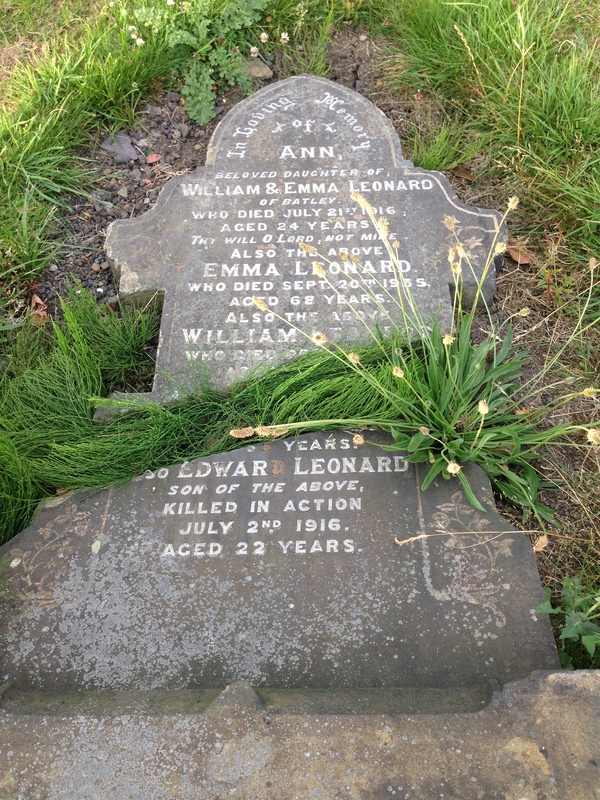 Rifleman Edward Leonard, 1st/8th Bn West Yorkshire Regiment, killed in action on 2 July 1916 and commemorated on the Thiepval Memorial. 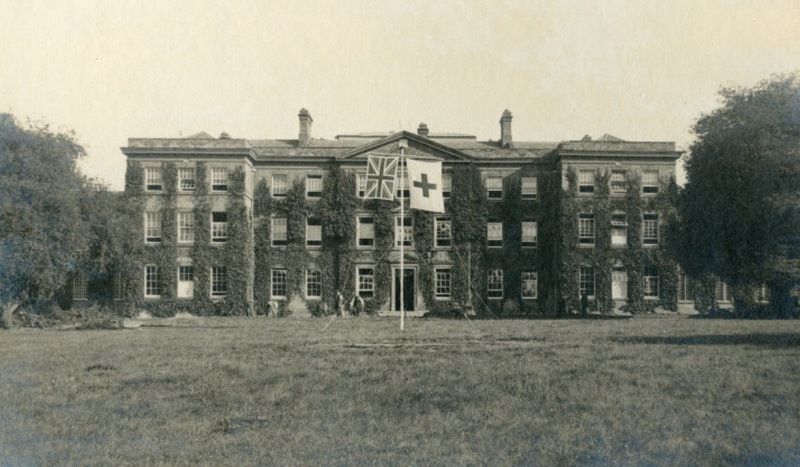 His sister Annie, a munitions worker at the Barnbow factory at Garforth, Leeds, died on 21 July 1916 from picric acid poisoning – the same day as the Leonard family received news Edward was missing. His and Annie’s name appear on the headstone. 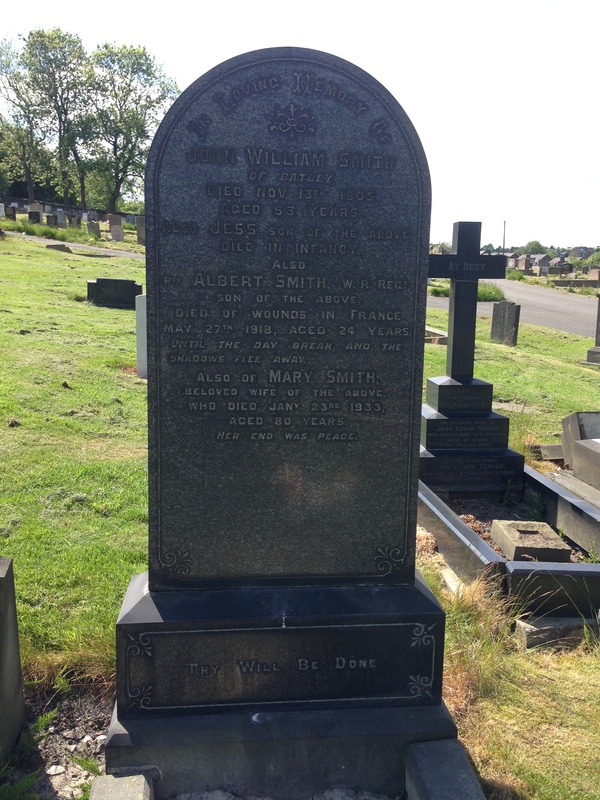 Pte Albert Smith of the 2nd/5th Bn Duke of Wellington’s (West Riding) Regiment died of wounds on 27 May 1918. He is buried in Bagneux British Cemetery, Gezaincourt, France but he is also included on his family headstone. So, even for those service men and women commemorated on CWGC memorials and in cemeteries elsewhere, do not discount information provided on family headstones closer to home.